Beach season is here! We spent each evening at the beach last week, welcoming our summer weather. Of course, we came home with our pockets full of shells- and lots of sand, too. The sand is my excuse for not vacuuming my car again until fall (wink). 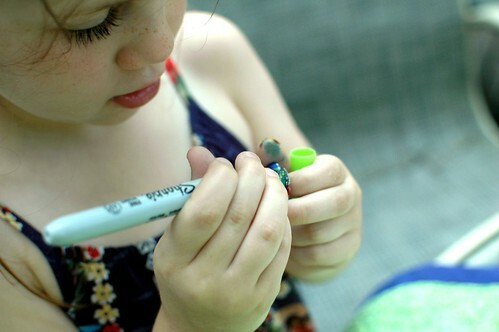 Even though we lull homeschool for summer, it's nice to find small, low-prep ways to keep learning. 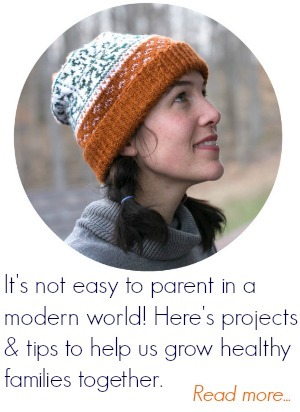 Hands-on activities that help me connect with the kids, and that they enjoy, too. Which is why I was so pleased to receive a copy of "100 Fun & Easy Learning Games" by Amanda Boyarshinov and Kim Vij. They are the creative minds behind the Educator's Spin on It- and have a great knack of turning learning into games. With reading, writing, math, science, art, music & geography, there's a lot to choose from. All activities highlight the skill they teach, and several are marked for on-the-go learning or movement for getting the wiggles out. 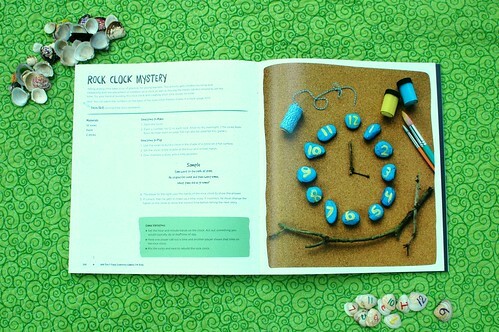 We've been focusing on time-telling this spring, so I thought this rock clock would be a fun way to practice! 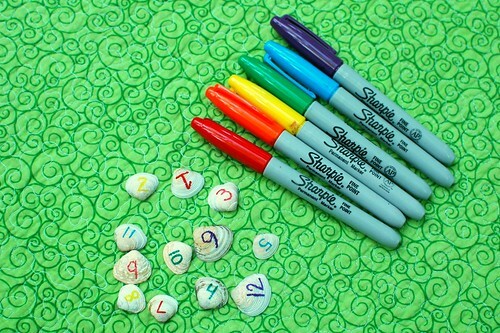 Isia loves decorating our beach finds with Sharpie, so we decided to use shells as our numbers. She wanted me to write the numbers, and we worked out together how many minutes went into each number as we did them. She helped me to create a rainbow pattern, which worked out nicely. There are six colors in the rainbow- red, orange, yellow, green, blue, purple- so we had one rainbow going down from 1-6, then another going up from 7-12. Isn't that fun? I love patterns! I love the flexibility of the game, too! You can include half-hours, quarter-hours, whatever you're working on. 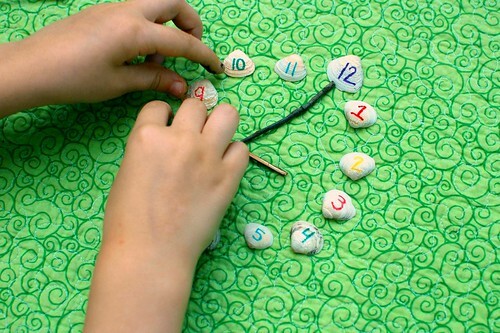 For Billy, I'll only use hours on the clock to help him work on his numbers. For Isia, it was an easy way for me to include more odd minutes. Since it was in the midst of a game, she didn't even protest a little bit. Win! There are several other ideas in the book, including time problems, which I'm excited to try next. 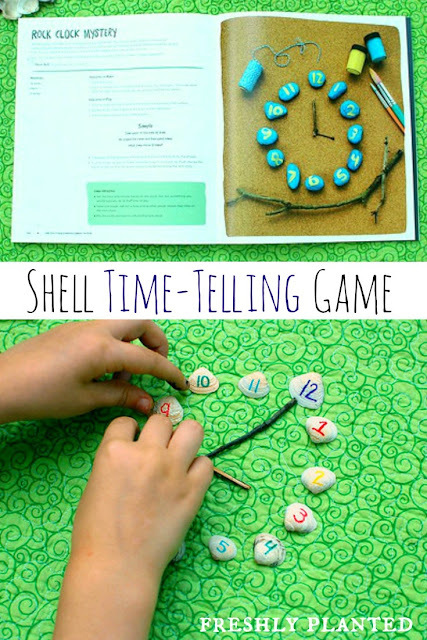 I love how Erica, from What Do We Do All Day?, set up the time-telling game with her sons. Isia loves story-telling, especially silly ones, so this will be fun to play next. 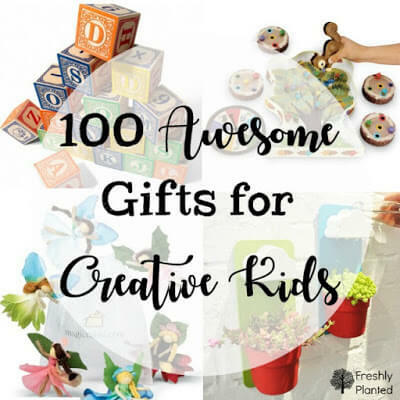 "100 Fun & Easy Learning Games" arrived the day before Art Club, and I enjoyed sharing it with my homeschool friends so we could "oh & ah" together. Among the things we loved were the beautiful pictures, and it lays flat- so important in our multi-tasking world! Also, the majority of the games are only 2-4 directions long with materials we already have. Perfect for picking up in the middle of the day & using right away. We've used it a lot this summer already, and it'll be helpful for our school year, too. Especially with my active, soon-to-be Kindergartner Billy! I think "Stack a Word" & "Zip-line Letters" will be saving graces for his letter-reviewing this fall. Although I'm not ready to think that far ahead- yet (smile). *I received a copy of "100 Fun & Easy Learning Games," but all pictures & opinions are my own. This post contains Amazon links for your convenience. What a creative game! 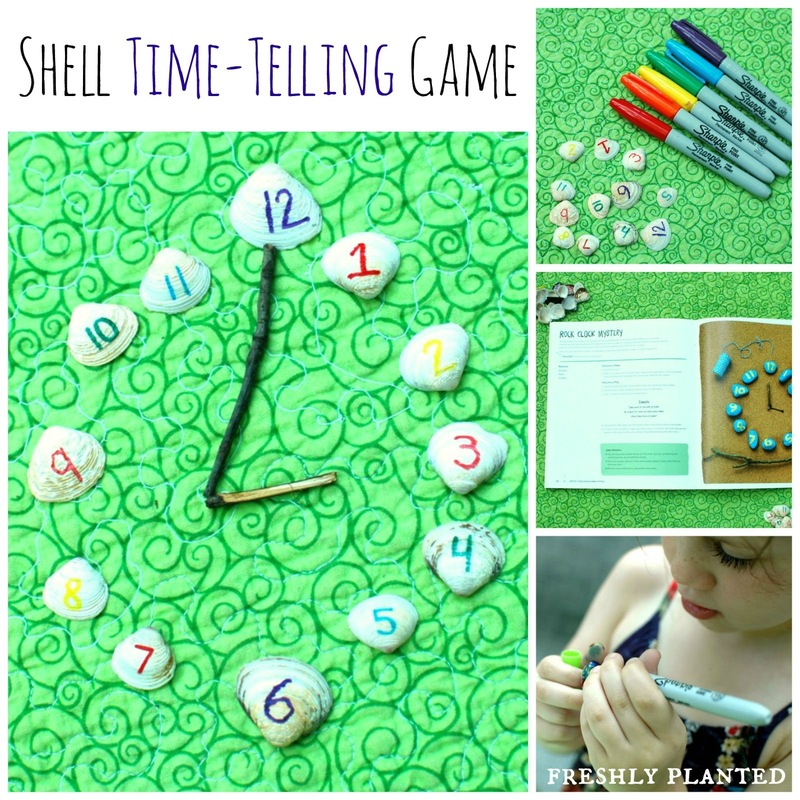 I love that you were able to decorate your finds from the beach to incorporate it into your "clock" My daughter loves to pick at rocks and sand at the beach as well. I'll have to remember this idea when we come back from our next adventure. Thanks so much for sharing this with us on #shinebloghop this week!